The Bombardier Q400 operators have been increasing over the years since the aircraft was released in 2000. More and more airlines are becoming Bombardier Q400 operators because of all of the economical and comfort benefits the Bombardier Q400 turboprop provides. We calculate that there are 32 total Bombardier Q400 operators around the world. Austria: Austrian Airlines - Bombardier Q400 operator. Previously operated under Austrian Arrows brand by Tyrolean. Croatia: Croatia Airlines - Bombardier Q400 operator and Bombardier Q400 Nextgen operator. France: Securite Civile - Bombardier Q400 operator - water airtanker variant (Bombardier Q400-MR). Germany: Air Berlin - Bombardier Q400 operator & Bombardier Q400 Nextgen operator. Augsburg Airways - Bombardier Q400 operator and Bombardier Q400 Nextgen operator for Lufthansa. Greece: Olympic Airlines - Bombardier Q400 Nextgen operator. Latvia: Air Baltic - Bombardier Q400 Nextgen operator. 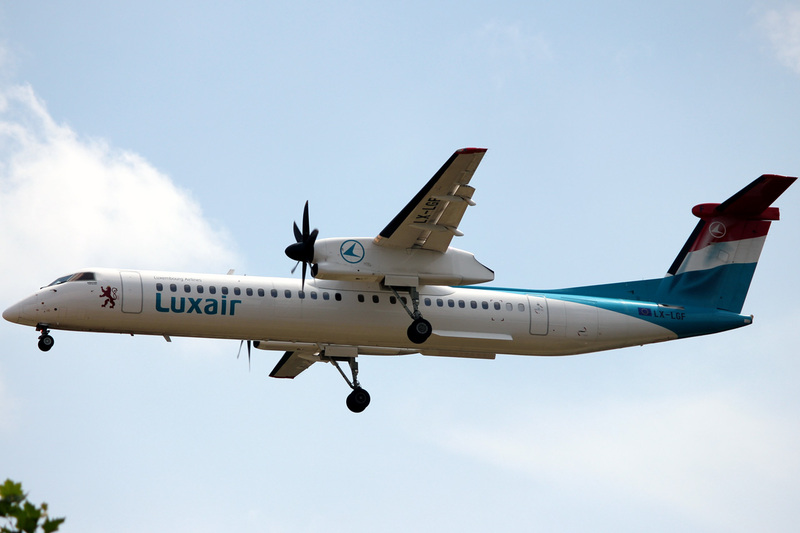 Luxemburg: Luxair - Bombardier Q400 operator. Norway: Wideroe - Bombardier Q400 operator and Bombardier Q400 Nextgen operator (SAS Group Owned airline). Portugal: SATA Air Acores - Bombardier Q400 operator and Bombardier Q400 Nextgen operator. Switzerland: SkyWork Airlines - Bombardier Q400 operator. Darwin Airline - Bombardier Q400 operator. United Kingdom: Flybe -Bombardier Q400 operator and Bombardier Q400 Nextgen operator. Algeria: Tassili Airlines - Bombardier Q400 operator. Egypt: Smart Aviation - Bombardier Q400 Nextgen operator. Ethiopia: Ethiopian Airways - Bombardier Q400 Nextgen operator. Mozambique: LAM - Mozambique Airlines - Q400 operator. Nigeria: Arik Air - Bombardier Q400 operator. South Africa: South African Express - Bombardier Q400 operator. India: SpiceJet - Nextgen Bombardier Q400 operator. Japan: ANA/ A-Net - Bombardier Q400 operator and Q400 Nextgen operator. JAL - Bombardier Q400 operator. Philippines: PAL Express - Philippine Airlines - Bombardier Q400 operator. Papa New Guinea: Air Niugini - Bombardier Q400 Nextgen operator. Antigua: LIAT - Bombardier Q400 operator. Canada: Air Canada Express by Sky Regional / Jazz - Bombardier Q400 Nextgen operator. Porter Airlines - Q400 operator and Nextgen Q400 operator. Columbia: Aires/ LAN - Bombardier Q400 Nextgen operator. United States: Colgan Air (Owned by Pinnacle Airlines) Operated for United Express / Continental Connection - Bombardier Q400 and Q400 Nextgen operator. Frontier Airlines by Lynx Aviation - Bombardier Q400 Nextgen Operator. These are all of the Bombardier Q400 operators around the world as of September 12, 2011. Also the Bombardier Q400 operators are also known as the De Havilland Dash-8-400 operators, DH4 operators, DH8D operators, De Havilland DHC-8-400 operators and the De Havilland Canada Dash-8-400 operators. This is because the Bombardier Q400 is actually built under the DeHavilland Dash-8 certificate. Above Bombardier Q400 Operator Photo by Milad A380 on Wikimedia Commons. Photo (Only) released under a Creative Commons License.